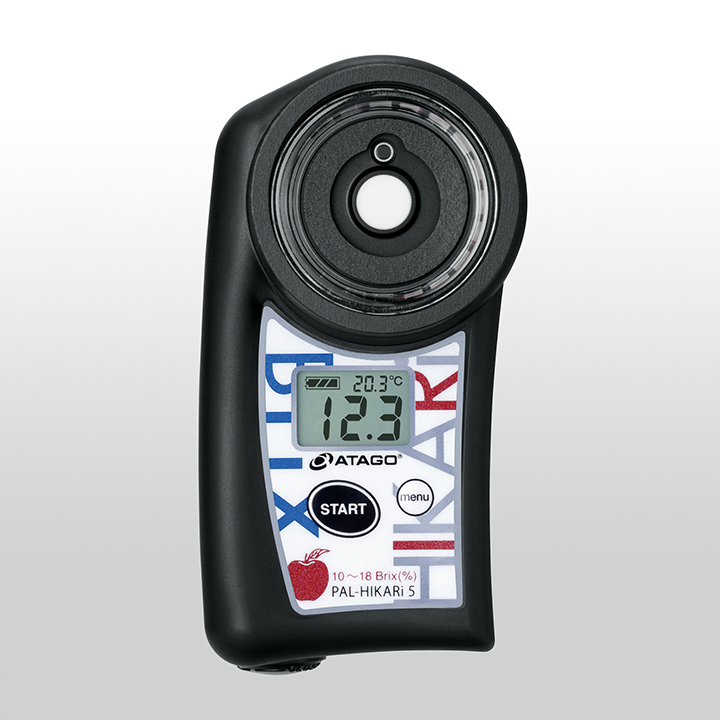 Product information "ATAGO PAL-HIKARi 5"
The Brix (sugar level) can be measured by placing the fruit on the sample stage with no need of cutting or squeezing. 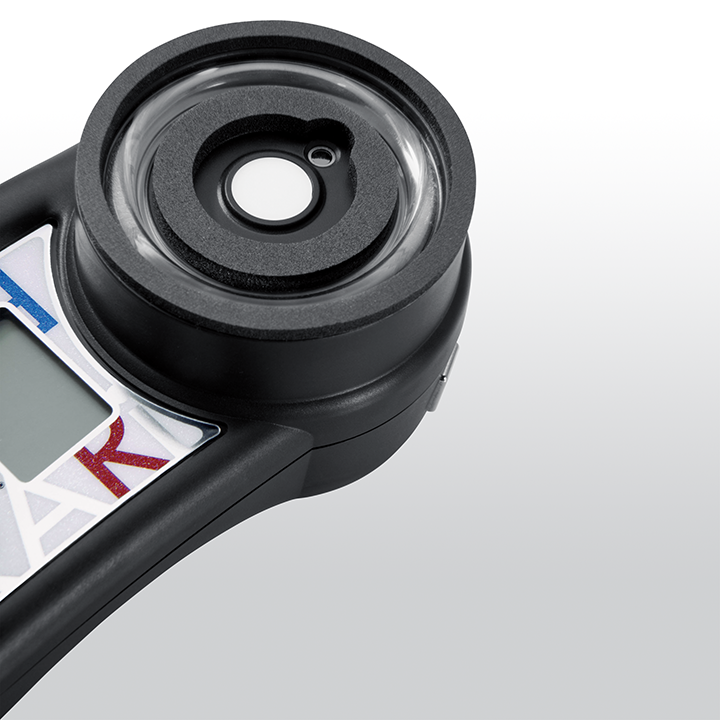 It requires no more cumbersome than wiping and cleansing after each measurement. 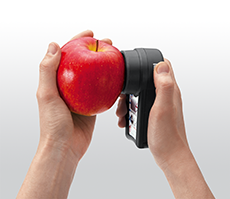 PAL-HIKARi's sensor is the world most compact nondestructive refractometer. 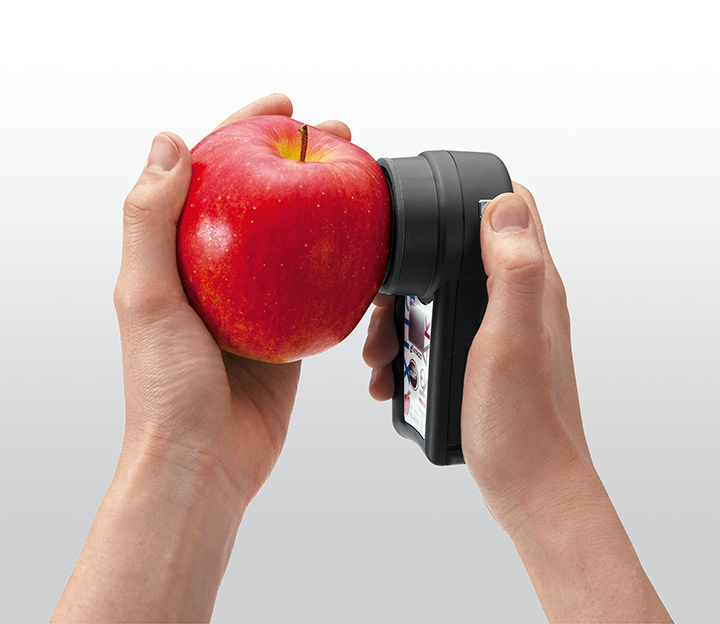 The button located on the lateral side of the unit makes it possible to take measurements with one hand while the fruits that are on the tree. 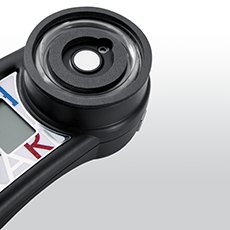 The unit is battery powered which makes it possible to take measurements anywhere. Related links to "ATAGO PAL-HIKARi 5"